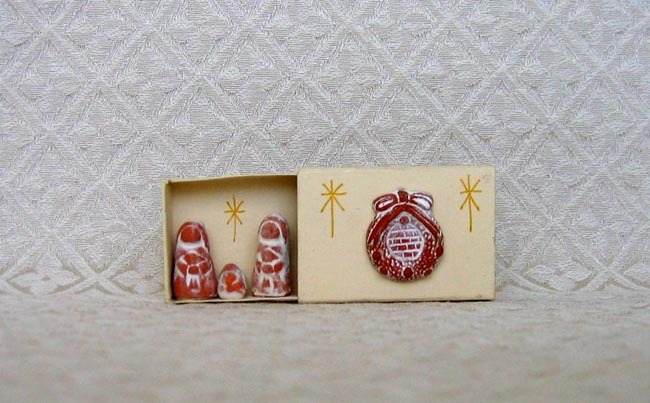 This miniature Nativity contains tiny terra cotta figures of Joseph, Mary, and baby Jesus. The figures are whitewashed for contrast. The Family resides in a stable made from a simple paper matchbox. The matchbox cover is decorated with a whitewashed terra cotta wreath and stars that were drawn with a marker. The small matchbox measures 2 inches wide by 1.5 inches tall.